The Texas Rangers have traded left handed reliever Alex Claudio to the Brewers for a competitive balance draft pick. Despite a tough year last year with a 4.48 ERA in 68 innings, Claudio has proved to be a really solid left handed arm out of the bullpen in previous years. 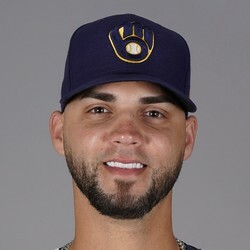 He should be an important piece of the Brewers bullpen but not one you will need on your fantasy roster.